Today I logged into Facebook to see this wonderful surprise! 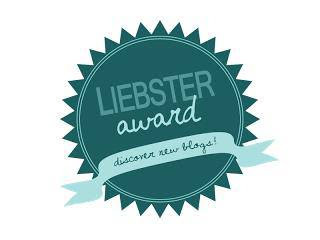 Lydia from Lydia's Flexitarian Kitchen nominated me for a Liebster Award! Yay! So excited! Thank you so much for nominating me, Lydia! Favorite adult beverage? Margaritas! Yum! What special skills do you have that would enable you to survive the zombie apocalypse? Well, I am a pretty good shot, or I could always stab one in the eye with my knitting needles (how's that for zombie kill of the day). What's your favorite flower? I love flowers! I would have to say a toss up between peonies and ranunculus. Would you/ have you tried online dating? I haven't, but my mom is having terrible luck with it! So, I wouldn't based on her track record! Explain to the old folks what "crunchy" means in today's vernacular: Crunchy? Is that supposed to mean something other than...crunchy? Well, Urban Dictionary says it's a modern day hippie, so I would just go with that! How many blog parties do you participate in? Oh gosh, a ton! Over 50, but then I lost count. What's the name of the last movie to make you cry? The Croods! Ha! How many items are in your purse right now? 35 and most of it is trash! I need to clean this thing out! I love to dance and have danced since I was two. I am obsessed with barre classes and take them a few times a week. I love animals and have a Chocolate Lab named Reese. Oh, and I also have 10 tadpoles in my backyard, thanks to my niece, Autumn :). Years ago, I was on Date My Mom and won because my mom is awesome! 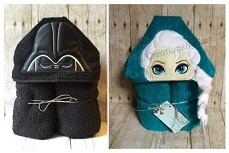 I have a crafty little company, J & A's Handmade Lovelies, that I run with my best friend. If I wasn't so happy being creative and crafting it up all the time, I'd want to practice medicine. I don't have my spleen or appendix. I am addicted to Chapstick and look for clothes with pockets so I can carry it at all times! I love to travel and see new places! Pizza: Pepperoni, cheese, or what? What craft supply could you not live without? Where in the world would you NOT want to travel to? Do you have a sweet tooth? What is your favorite dessert? Tap water or bottled? Ice cold or room temperature? If you were on a deserted island, what 3 things would you want to have with you? Congrats ladies! Hope you are as excited to receive this award as I was! I look forward to reading your responses :). Thank you again to Lydia from Lydia's Flexitarian Kitchen for my nomination! Thank you for linking-up with us. You are our most clicked post last week :) You are featured at Breaking Rules Party. Catch it tomorrow at 5pm CST. Thank you so much Judy! Your feature made my day! Have a wonderful weekend! Alyssa, thank you so much for nominating us for this award. We are so excited, and surprised! :) Our liebster award post will go live today at 3:00pm! Be sure to come check it out.